It has been rumored since before the R35 Nissan GT-R even existed. An Infiniti version of the Nissan GT-R. In this case its closer to a "Skyline" as its a 4 door, VR38 powered, 7 speed, all wheel drive concept car. Althought its just a concept now, there is a good chance we could see this car in the future. That means good things for the Nissan GT-R platform for the future. 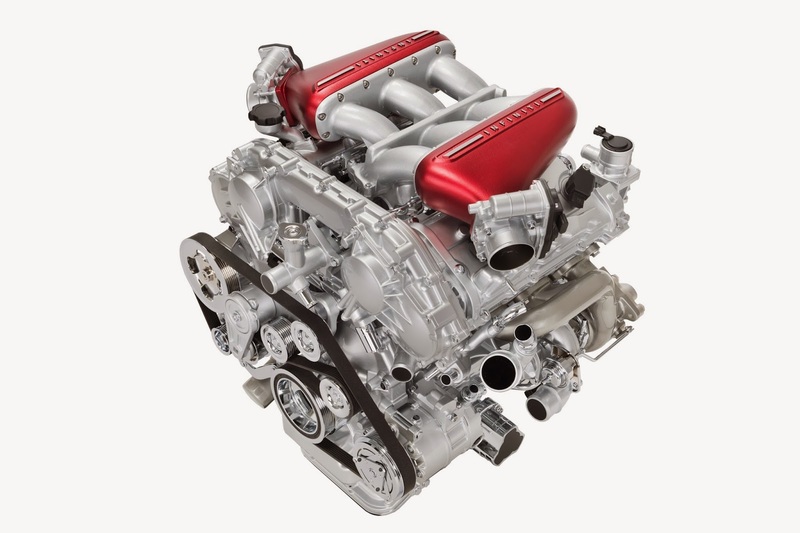 The more places you can use an engine/powertrain combo the better. Is the 7 speed an auto? Is it the future R35/R36 transmission? Press release and additional pictures below. 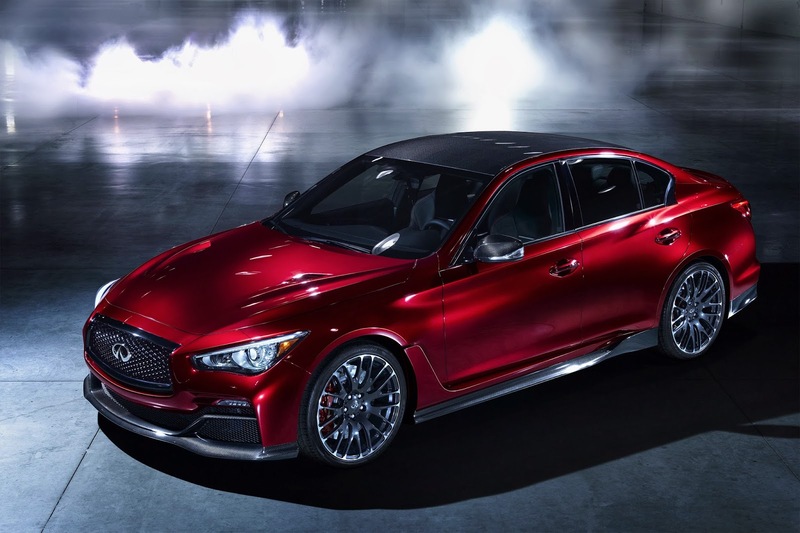 The Q50 Eau Rouge – a high-performance concept car based on the premium manufacturer's award-winning Q50 sport sedan – was first revealed at the 2014 Detroit Auto Show in January as a Formula One inspired, carbon fiber aero-enhanced concept. 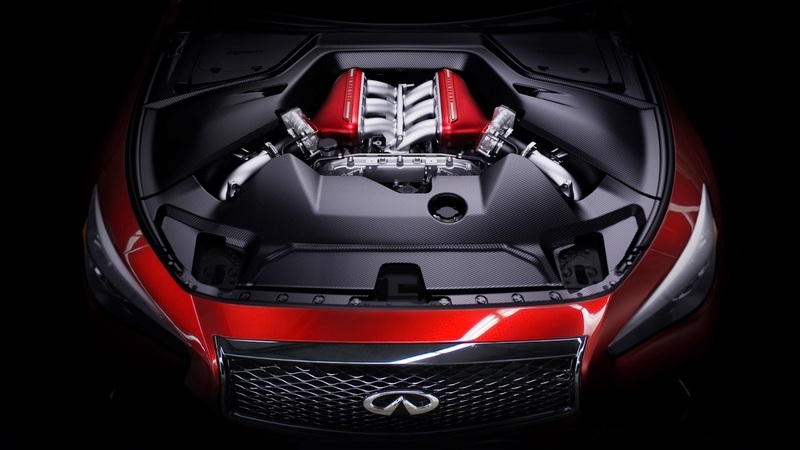 Q50 Eau Rouge now tells a compelling power story with a full 560 hp and 600 Nm of torque on demand. 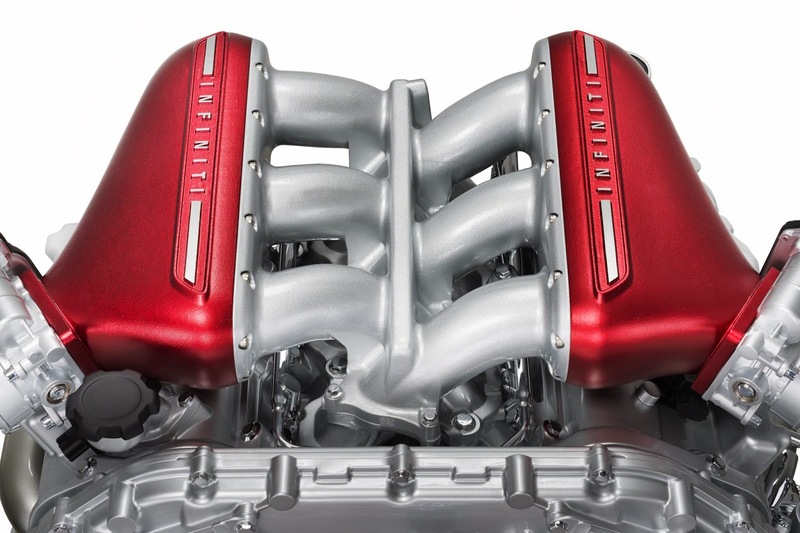 "A car with such pronounced styling treatments demands the very best in terms of high-performance powertrains, which is why we installed this V6 twin-turbocharged, 7-speed combination as an example of what a potential powertrain for the Q50 Eau Rouge may look and sound like." More information about Infiniti, its Total Ownership Experience® and its industry leading technologies can be found at www.infiniti.com. For the latest news on Infiniti, visit InfinitiNews.com, "like" Infiniti on Facebook or follow the brand on Twitter @InfinitiUSA. For interesting content on Infiniti in Formula One visit: www.infiniti-gp.com, www.youtube.com/InfinitiGP or follow on Twitter @InfinitiGP. Yes I really have one picture of the car, and three of the engine.